Some people absolutely love gardening. They like nothing more than spending a Sunday afternoon on their hands and knees planting, watering and mowing. But for a lot of us, that all sounds a bit too much like hard work. You still want to have a nice garden that’s kept well, you just don’t want to spend the time doing it. Luckily for you, it’s possible to have the best of both worlds. Here’s how you can create a hassle free garden that always looks great with minimal effort. Mowing the lawn is one of the most frustrating and time consuming jobs in the garden so if you can eliminate it, you’ll go a long way to creating your hassle free garden. It’s nice to have a bit of a lawn so you don’t need to get rid of it completely but covering a large portion of it with limestone paving will make your life a lot easier. It’s a great place for entertaining in the summer if you stick a few chairs and a table out there and you don’t have to bother getting the lawnmower out. You can still leave a little bit of grass at the bottom of the garden if you want and it’ll only take you 5 minutes to mow instead of the half an hour you usually spend. Watering the garden is another one of the big jobs that you probably hate doing so anything you can do to reduce the amount of water the plants need is a win. Putting a thick layer of mulch made from bark and old leaves underneath the soil helps it to retain a lot of moisture which means you don’t need to water it anywhere near as often. It also stops weeds from coming through which solves another annoying garden problem for you at the same time. Leaving the whole garden to its own devices isn’t a great idea if you want it to look good, but you don’t have to carefully tend the whole garden. Areas at the bottom of the garden or around trees can be left to their own devices. Putting a few flowers in there and letting them do their own thing creates a nice wild aesthetic that actually works quite well, without any effort whatsoever. In the areas that you are going to tend to, you want to choose low maintenance plants that don’t need to be watered or pruned regularly. Wall climbers are a popular choice because they make good use of space and you don’t need to worry about them spilling outside of their flowerbeds. You can just leave them to grow up the wall and just trim them when they start creeping over the top. Mexican grass is another great choice because it only needs pruning once or twice in the Autumn then it can be left alone for the rest of the year. 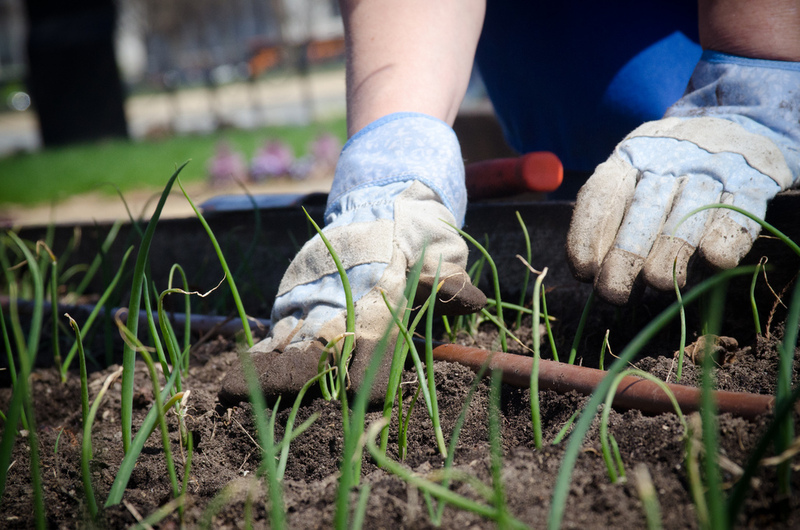 These simple tips and tricks will help you create a garden that is completely hassle free.